Drupaljam:XL is thé Dutch event on the popular open source CMS Drupal. Over 500 internet professionals from the Netherlands and Belgium come together to network, share knowledge and gain inspiration in the field of Drupal, online marketing and digital innovation. Add the 27th and 28th of June to your agenda! Drupaljam: XL is all about showcases, inspiring keynotes and extending your technical knowledge. At Drupaljam: XL you can get familiar with brands such as Mentos, RTL, and Tesla, who use Drupal for a high-quality digital experience for millions of people. Agency’s and developers share their experience, ideas and code. 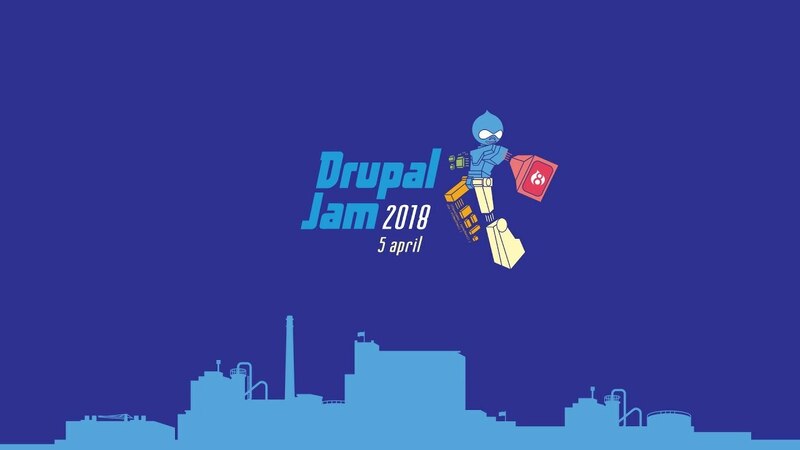 Drupaljam: XL lasts two days, and includes additional workshops by experts and the Splash Awards 2019! Sign up for our newsletter to be the first to know about this year's speakers and activities. Drupaljam: XL offers one day full of technical depth for the open source community and one day for business. Do you want to contribute to the largest Drupal event in the Netherlands and be visible to an even broader target group? Download the sponsor brochure and make your choice. Be quick because only a few options are left! The knowledge, experience and ideas you have as an expert form the foundation of Drupaljam: XL. Do you want to share your knowledge and experience? Send us a message at drupaljam@stichtingdrupal.nl. DeFabrique is an old mixed feed factory that has been transformed into a modern event location with an inspiring industrial look. Because DeFabrique knows exactly what we need, Drupaljam: XL will once again take place at this venue. In addition, it is undoubtedly an incredible location. Drupal is the popular open source CMS that is used by, among others, RTL, Amnesty International and Tesla to realize online ambitions. Developers, content editors, IT and marketing managers and suppliers come together on Drupaljam: XL. Drupaljam is characterised by being informative, inclusive and affordable.